Morillon is a charming Savoyard village built around a 16th century church in the beautiful Giffre Valley. It manages to retain its individual character as a small resort much loved by generations of French families. 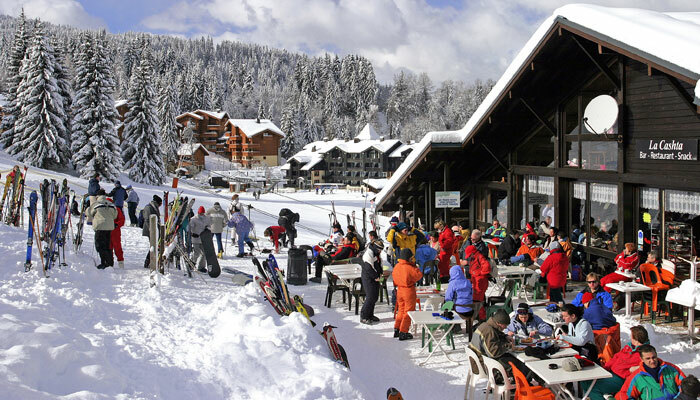 Morillon is one of the 5 resorts that is part of the giant Grand Massif (Flaine) ski area with 77 lifts covering 265km of piste. Morillon holds the official ‘Famille Plus Montagne’ label for its superb children facilities. We warmly recommend the ‘Village des Enfants’, which cares for skiing and non-skiing children aged between 6 months and 10 years.Weekly torchlight descents, concerts, wine and food tasting, and a variety of activities for children are all part of an extensive winter programme of entertainment. Morillon 1100 (Les Esserts), the purpose built resort above the village is very much a pedestrian family friendly resort. It offers a small selection of restaurants and bars, a few shops and mini-supermarket. The ‘Village des Enfants’ children facility is based at Les Esserts. Les Esserts can be reached by fast gondola or by car (an eight-minute drive) from the village. Extensive off-piste opportunities are an added bonus. For beginners there are a few green slopes at Morillon 1100 Les Esserts, and some blues to progress on. These all link back to the resort centre, making it a great environment to learn in. There’s also a moving carpet for beginners at 1100 and a small slope for them to practise those all-important first turns! 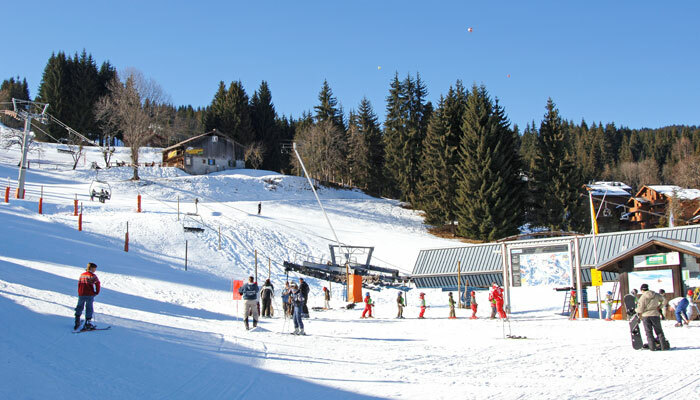 For intermediates, the slopes are really excellent – the long green Marvel forest run to Morillon 1100 (5km of piste) is an easy cruise with intriguing signs along the way explaining all about the local wildlife. 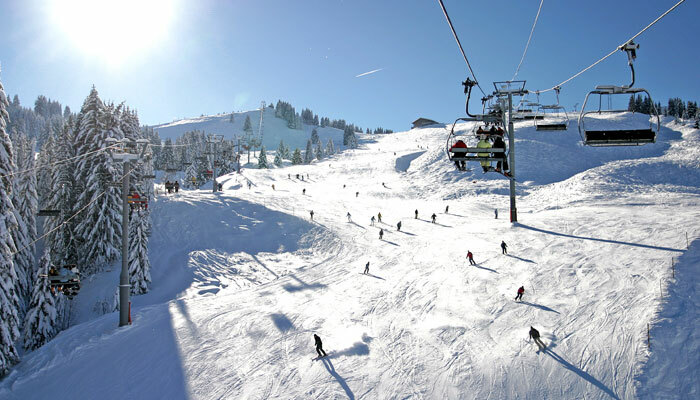 Intermediates and boarders will enjoy the 49 red pistes and 15 black runs that are so numerous in the Grand Massif area, with its extensive intermediate slopes and big lift networks. Boarders and twin-tip skiers have a choice of three purpose built terrain parks. Snow record from Morillon 1100 is generally good, and well above other resorts of same altitude. Snow cannons allow a useful top-up early and late season (from mid-April). Member of the “France Ski de Fond” organisation, the cross country area proposes 94.5km of trails for the ‘traditional’ or the ‘skating’ way of skiing, which will please you, show you the entire valley and lead you to the fabulous Cirque du Fer a Cheval.